Growing up with a twice-divorced mother who could not financially support herself and her children, Laurie Itkin vowed to do whatever it would take to become financially independent. At 24, Itkin received a $1,600 inheritance from her grandmother. Instead of spending it on clothes and shoes, she bought 40 shares of Starbucks. In Every Woman Should Know Her Options, Itkin outlines the steps she took to build a million-dollar stock portfolio before she turned 40. 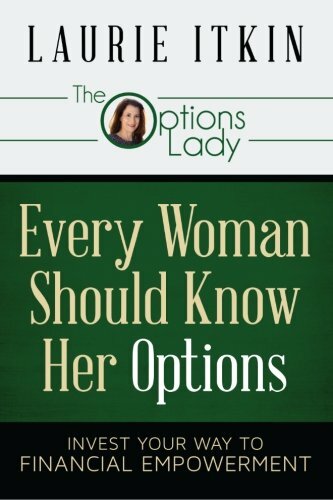 Filled with easy-to-understand examples and women's stories of wealth-building challenges and successes, Itkin's advice shows you how to take your hard-earned money and grow it in the stock market using options to reduce risk. Whether you hire a financial advisor to manage your money or manage it yourself, this book will put you on the path to financial empowerment. LEARN HOW TO: • Grow your money by investing like the pros • Use options to generate income and lower your risk in the stock market • Stop paying high fees on your investments • Overcome obstacles women face in achieving financial independence. If you have any questions about this product by Options Lady, The, contact us by completing and submitting the form below. If you are looking for a specif part number, please include it with your message.